Cass has devoted her life to education and the arts. She graduated from the Art Institute of Tampa with a bachelors of fine arts and game design degree and has spent time working as an adjunct instructor teaching design, programming and animation in Tampa FL. 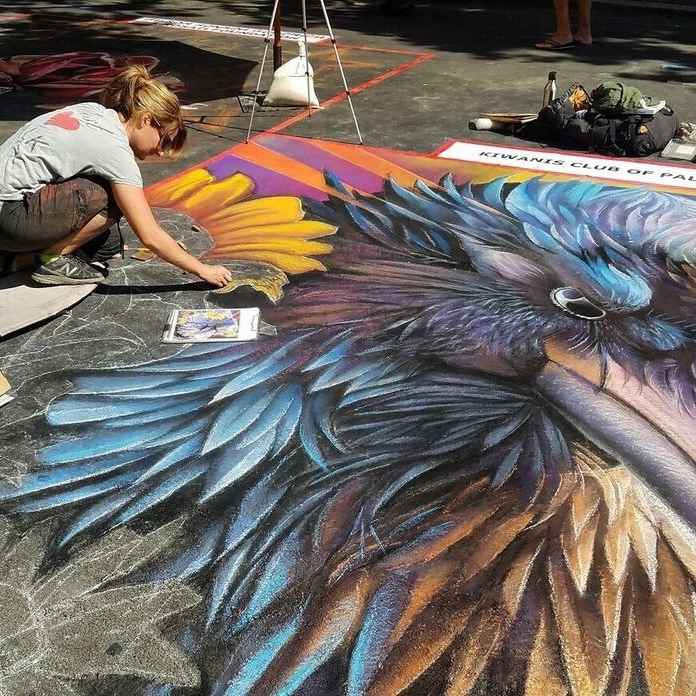 After teaching for 4 years and working another 10 as a production artist in the video game industry, Cass decided to take up street painting as a way to get out of the office and reconnect with the community. What started as a hobby in 2011, blossomed into a lifestyle. 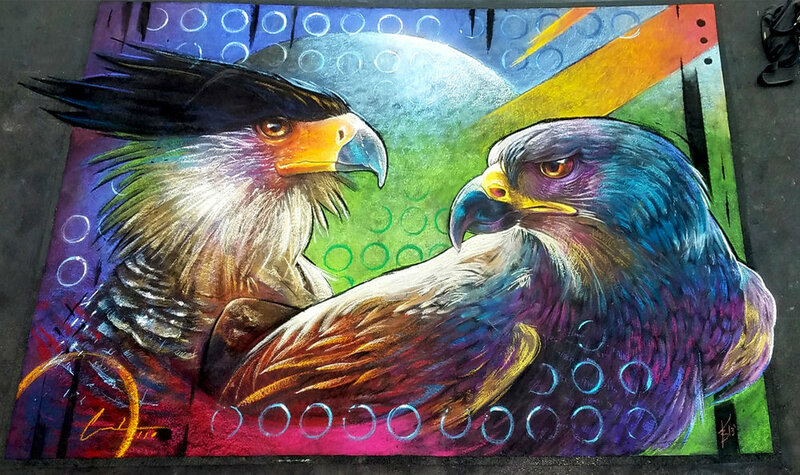 Cass now travels all over the world sharing her unique, colorful style, her vast knowledge and love of public art. She loves to experiment with new techniques, surfaces and mediums.